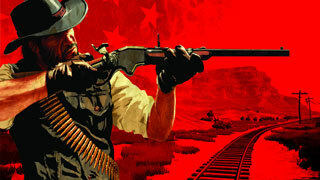 A Korean website has apparently spilled the beans on a HD remaster of Red Dead Redemption. Red Dead Redemption is a game that despite achieving quite a bit of critical and commercial success, was never really "milked" the way other successful franchises are. Only the original game and the Undead Nightmare DLC were ever released, and only for the PS3 and Xbox 360. However, a Korean gaming magazine is now reporting that western is next in line for the HD remaster treatment, and may be finally gracing the PC with its presence. The website mentions that their source confirms a PC and PS4 release, but says that the Xbox One version may be skipping Korean shelves. We don't have any reason to believe that this will be the same for US shelves, however, given the original's success on Xbox 360. Either way, we will find out for sure on September 7, as the source claims Sony will officially unveil the game during it's PlayStation 4 Neo reveal event.